CCC, the contractor who cuts the grass alongside the cycle path from the Curletts Road to Aidanfield section of the cycle path needs a rev-up. This photo shows recently cut area, where the blades were so blunt it did a terrible job. It also shows the parts they just didn't do. 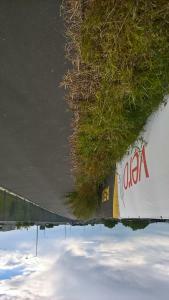 Grass and weeds are up to 1.5m high along here, right through from Curletts to Aidanfield. And weeds are covering up to 40% of the pathway. Can we please have something done about this contracting, it is just disgusting.